As air enters the respiratory system through the nostrils, it is directed through two main nasal passages, which are separated by a thin wall known as the nasal septum. When the nasal septum deviates more to one side than the other, the condition is referred to as a deviated septum. Many people who have a deviated septum do not suffer any ill effects from the condition; however, if the septum drastically deviates to one side, the symptoms can quite severely impact a patient’s health. In these cases, a procedure to correct the deviated septum may be performed. Known as a septoplasty, this rhinoplastic procedure is designed to correct the deviation and restore proper airflow through the nose. When cosmetic changes are made to the nose at the same time, the procedure is referred to as septorhinoplasty. Some amount of nasal septum displacement is normal and common. In fact, it is estimated that only 20% of people have a perfectly straight nasal septum. In many cases, individuals are completely unaware that they have a deviated septum and only become aware when they seek help for a breathing problem or other nasal ailment. A deviated septum is a condition that can be present from birth or be caused by impact trauma. The nasal septum may deviate during fetal development, which is normal as very few people have a perfectly straight nasal septum. Typical examples of trauma that can cause septum deviation include compression during childbirth, sporting injuries, fistfights, and automobile accidents. A deviated septum only needs to be corrected if it is causing ongoing nasal problems. If the nasal obstruction in mild, a doctor may suggest treating it with medications to reduce inflammation or the use of adhesive strips to temporarily widen the nose, thereby improving airflow. The only way to permanently correct a deviated septum, however, is through a septoplasty or septorhinoplasty. A septoplasty is a type of nose surgery performed specifically to correct a deviated septum. During the surgery, the nasal septum is re-aligned in the center of your nose. The surgeon may need to trim and remove parts of the septal wall before repositioning it. 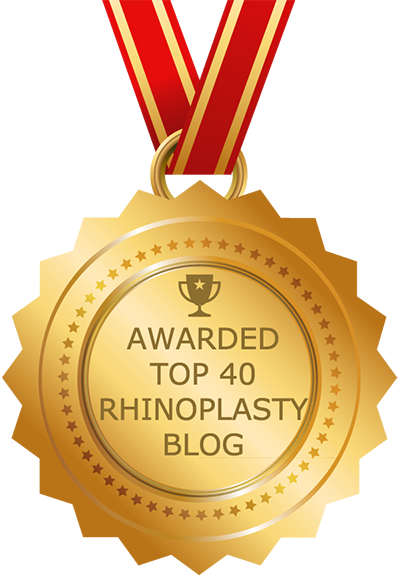 A septoplasty does not always change the appearance of the nose. If the septum is severely deviated, the nose may appear straighter afterwards, but in cases of mild deviation, nasal appearance is unlikely to change. When a deviated septum is responsible for health problems, most medical insurance plans will completely cover the cost of septoplasty. In some cases, patients wish to address cosmetic issues while undergoing surgery to correct a deviated septum. In this case, the procedure is referred to as septorhinoplasty. When a surgeon performs a septorhinoplasty, the patient can expect to experience an improvement in breathing and an improvement in the physical appearance of their nose. Doctors can accommodate almost any cosmetic change in additional to correcting a deviated septum. In some cases, medical insurance will cover a portion of the surgery, but it is unlikely to cover the entire cost as cosmetic procedures are rarely covered.